Even though Zoo Miami patronage has been growing for three fiscal years, upcoming construction will probably keep the zoo from reaching its 1-million-visitors goal this year. Instead, officials said, they may hit the goal in 2015. Figures provided by zoo Communications Director Ron Magill show 840,878 visitors in 2011, 882,813 in 2012 and an unprecedented 955,240 in 2013. The zoo has embarked on two projects – the Florida: Mission Everglades exhibit and a new entrance – that collectively cost $34.5 million, according to Cindy Castelblanco, director of marketing and integrated communication at the Zoological Society of Florida/Zoo Miami. The projects are partially funded through the county’s Building Better Communities general obligation bond program as well as through fundraising by the nonprofit Zoological Society of Florida. The new entrance, scheduled for completion in about a year, will be at the same location as the current one with life-sized cut-out wildlife placed as if walking along Southwest 124th Avenue toward a “watering hole,” in essence, leading in visitors to the zoo, Mr. Magill said. During construction, visitors will arrive just west of the current entrance. The Florida: Mission Everglades attraction is designed to ultimately prompt guests to visit Everglades National Park and understand the importance of preservation. Florida: Mission Everglades will include Florida panthers, black bears, venomous snakes and the American crocodile, as well as a mangroves-discovery center, he said. The additions of healthy food and interactive exhibits have helped spur the gains in zoo visitors in the past three years. “People want to do things that can be hands on and be involved, not just putting their hands behind their back and looking,” Mr. Magill said. Located on about 740 acres in South Miami-Dade, Zoo Miami has developed 330 acres. 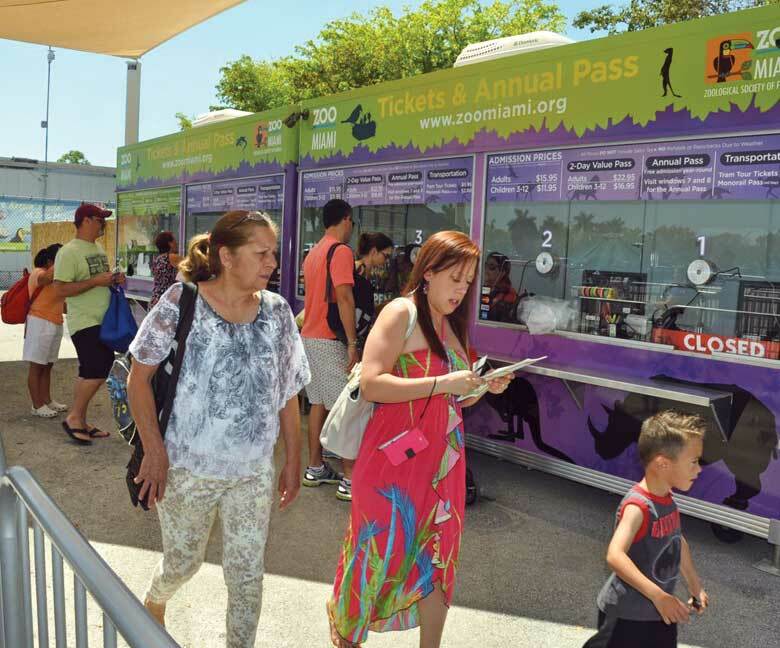 Zoo Miami, part of the county’s parks, recreation and open spaces department, has an operating budget of about $20 million for 2014, Mr. Magill said. The Zoological Society of Florida supplements its revenues.